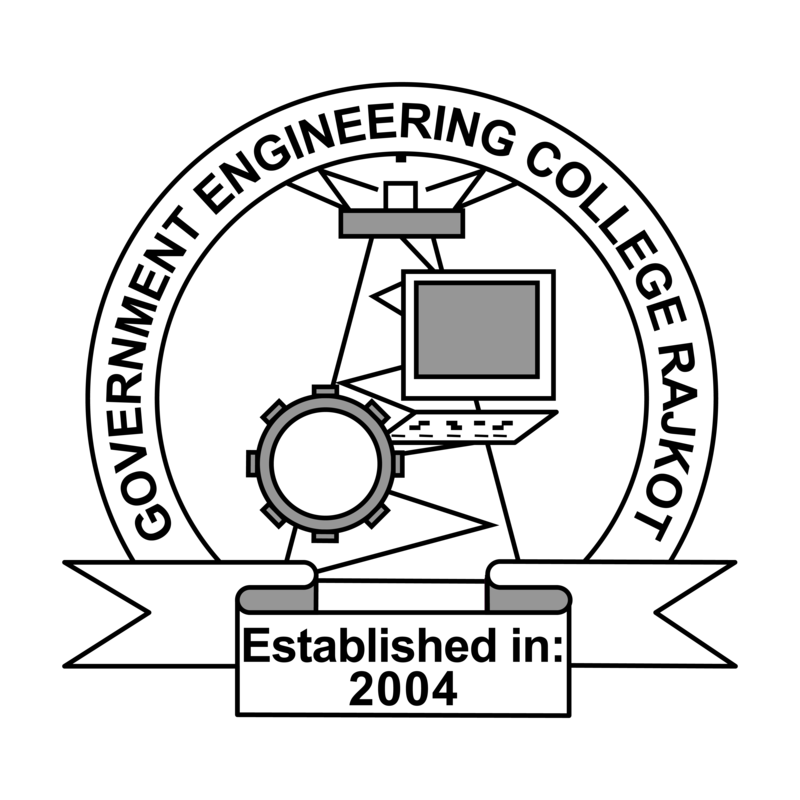 GEC Rajkot was established by Government of Gujarat in the year 2004 with a vision to provide quality technical education to bring out technically competent, socially responsible, environmentally conscious and ethically sound engineers in tune with India’s vision to transform the nation into a developed country. Institute is located opposite to Kankot Village which is 15 minute drive from Rajkot City. Rajkot is central location of Saurashtra and Kutch region. This institute is approved by All India Council for Technical Education (AICTE) and affiliated to Gujarat Technological University, Ahmedabad. Institute offers programs in Electronics & Communication Engineering, Computer Engineering, Instrumentation and Control Engineering, Mechanical Engineering, Civil Engineering, Automobile Engineering and Electrical Engineering. GECR is putting the best efforts to create vibrant atmosphere to motivate students for learning and to make the institution a preferred destination for learners in the field of technical education. Institute has done significant progress in last decade and will continue to grow in future. GECR has got well developed state of the art laboratories, library, language lab and computer centre under Technical Education Quality Improvement Programme (TEQIP-II. GECR also promote innovations through Student Start-up and Innovation Policy (SSIP) initiative of State Government. GECR has also got Centre of Excellence (CoE) in collaboration with SIEMENS to encourage research and development activities. GECR is committed in taking constructive and purposeful actions to produce engineers who are life-long learners and contributors for the progress of Gujarat and India. To contribute to the nation by providing high quality technical education to bring out technically competent, socially responsible, environment conscious and ethically sound engineers. To shape our institution to provide high quality technical education to the students, to create vibrant atmosphere to motivate students for learning and to make our institution preferred destination for learners in the field of technical education.